A friend of mine has an odd fascination with two-headed kittens and insists that she wants one. It's a bit of a running joke between us. I'm a little afraid that she'll come home with a taxidermy or one in formaldehyde, so I made her a felted version for her birthday. 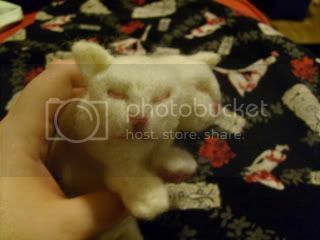 I decided not to make him really realistic, more like a stuffed toy. I think he's a little cuter that way. He's about the length of my hand, and a little hard to photograph. 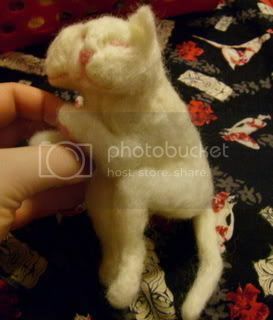 He's all curled up because he'll be in a jar when I give him to her (mostly for protection from her real cats). I think I need a better jar, though. I found a much better jar to house him, even if it's a little on the big side. This is both bizarre and super awesome at the same time. 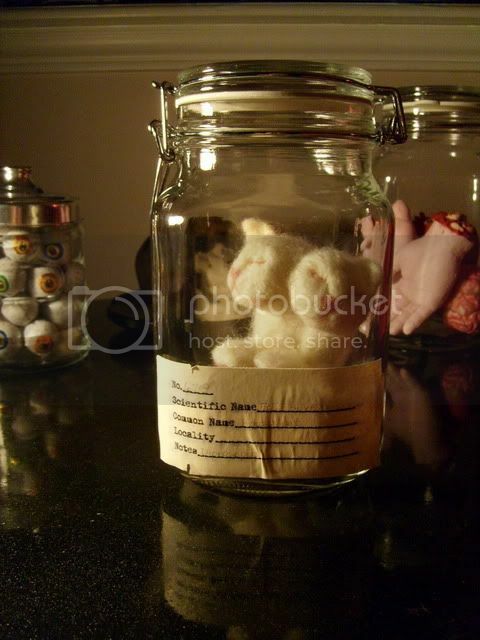 I like the jar presentation, it really pumps up the wickedness factor! Too bad there isn't an easy way to get the look of 'liquid' in it..maybe saran wrap? Very cool! So cute yet wonderfully creepy too. I think she will be absolutely thrilled, cause I think you really caught the look. Oohh, yes! She'll love it, I'm sure! I know I do. Now I want one. XD Awesome work! Absolutely perfect! I love the jar presentation. And I thought I had seen everything... Very bizarre, I love it! Maybe you could paint the jar from the inside with yellowish brown so it would look like liquid? 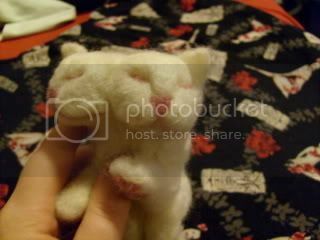 for christmas one year my friend gave me a fake bonzai kitten and now he sits on my shelf, I need a two headed kitten to go with him! What a weird fascination... although I must admit, before this, I was looking at parasitic and conjoined twins so I guess a lot of people are fascinated by "oddities"
If you wanted the liquid look, maybe you could go with that gel stuff people sometimes use to put in vases for fake flowers. I'm not sure what it's called but I think I saw some in Walmart's floral or vase aisle. The problems with that would be that your friend couldn't take it out of the jar to play with it, or it might mess up the felt. I don't know cuz I've never worked with gel or that felted stuff. Elbow grease is the best polish! 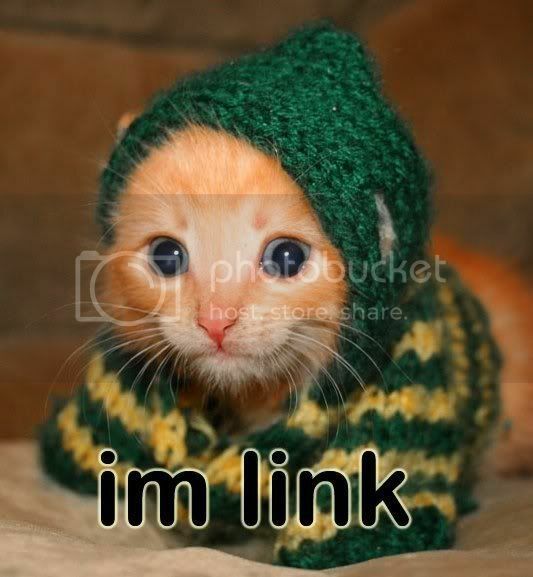 the link is calling to you! click it and enjoy. enjoy, damn you! i LOOOOOVE IT!!! it is cute, it is creepy (creepy as ....), PUUURFECT combination! now you HAVE to change the jar. 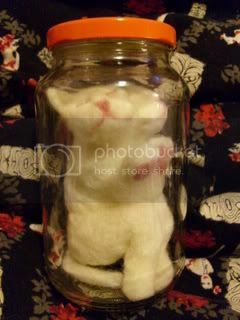 the cat is way toooo special to go in that jar. try to make it a lil more sci-fi-ish, a lil tared down, as if you had stolen it from a bizzarro museum. Awesome! 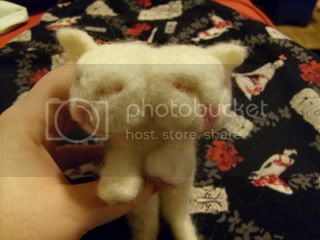 I automatically know its you now when I see something odd, but amazing made by felting. You're the felting queen!